Stage: Demo Time! Get Your First Users! 1. Create a beautiful demo page to collect customer emails. 2. Get early adopters to sign up. Now that you've scripted up powerful messages and a selling UVP, we can now use them to build a demo that will help get users' email and find out their response. We will introduce several tools to help you create a demo with an email input field to collect potential users' emails early. Creating a demo page sounds hard, but there are many great tools available that will help you easily build a landing page that can help you collect tens of thousands of interested customers. A landing page should look just like your website's primary landing page, which should look like a great looking marketing page that fully demonstrates what your product is, your UVP, and the benefits to using your service. The demo needs to be professional and clean for users to take you seriously. A demo will allow you to see if people actually need your solution. It will let people know what you are building, and if they need it they will leave their email with you so that when you are done developing, they can finally solve that big pain point. 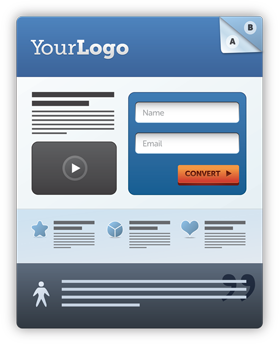 Task 1: Create a beautiful demo landing page!